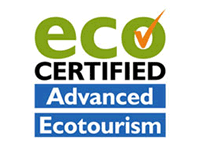 Our guides are professional, well trained and highly experienced. 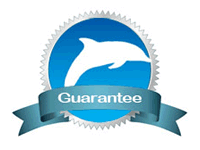 Our service to you, your safety and enjoyment is our highest priority. 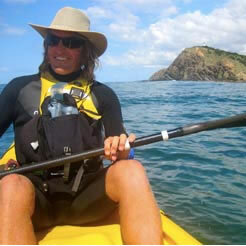 Born and raised in Byron Bay, Kurt is the owner/operator of Go Sea Kayak. Well known as the town’s champion surf lifesaver, a qualified P.E teacher and kayak guide – Kurt probably spends more time on water than land. This man runs a tight ship and as the area’s emergency Jetski responder, you couldnʼt be in safer hands. 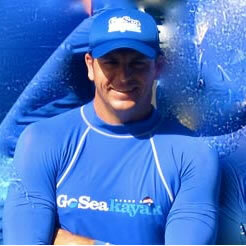 Kurt has completed two World Title 52km Ocean Kayak races in Hawaii in 2011 and 2012 finishing in the top ten both times. Originally from the central coast of NSW, Doug brings a wealth of experience on the water and a healthy obsession with dolphins to the table. A consistent volunteer with the dolphin research program – Doug has a special knack for spotting dolphins and has been lucky enough to name a few of the locals. 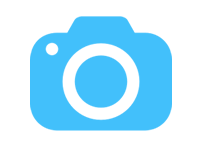 On his days off Doug can be found …kayaking. His favourite quote: “Look after nature, cos nature looks after you”. 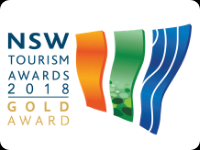 Local paddler Emma Williams joined Go Sea Kayak in 2010 whilst completing her Sports Tourism Degree at SCU and her Bronze Medallion at Byron Surf Club. Emma grew up with whitewater Olympians at Bonalbo and is known at Go Sea Kayak as a seriously good wave handler in the kayak. 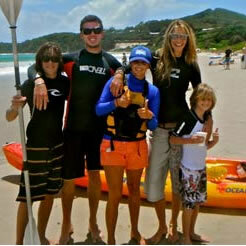 So much so that Elle Macpherson prefers no other then Emma as her paddling partner when in Byron Bay. Emma is also known as one of the fastest Troop Carrier Drivers in Byron Bay and will have you picked up and ready to kayak before you can get zinc on your nose.